Material:Cotton Fabric + Waterproof PE Coating,lightweight, durable and portable. 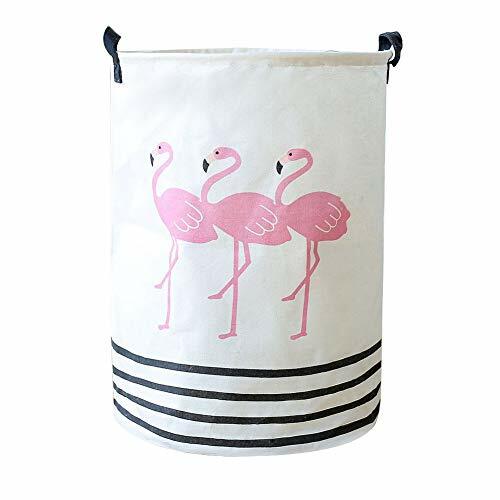 Size: 40×50cm,Great for toy bin,storage bin, Laundry Basket and Nursery Hamper, Home decor. The hamper provides attractive and lightweight solution to many storage needs.It is space-saving and convenient to take along. You could simply fold them up when you do not use or when you need them for travel. These boxes are available in fun, trendy and adorable styles and colors, a perfect addition to a nursery, home office, or to add a splash of color to any room while also being functional. View More In Storage Baskets. If you have any questions about this product by Wakerda, contact us by completing and submitting the form below. If you are looking for a specif part number, please include it with your message.